My love story with potatoes began when I was introduced to one of my favorite Filipino Dishes of all time, Nilagang Baka or Beef Nilaga or Boiled Beef. I remember staring at the yellow vegetables which stood out among other green leafy veggies, wondering what they taste like and when I tried them, I made them part of my diet. Now being a mom myself, of three very active boys, I was able to successfully pass on this love for potatoes, even to my one-year old . Potatoes are one of his first foods because they’re so easy to prepare, mash, eat and they’re healthy. Although I knew that potatoes were healthy, I didn't know that they are actually more nutritious than I thought they are. Potatoes boost our energy , help strengthen our immune system, boost memory because they are brain food, and are a good source of carbohydrates, vitamins, and minerals. All of which help keep us away from common illnesses. Every mom would agree, that our kids' nutrition, is one of our top priorities. I would also admit to one common wrong notion about other types of potatoes, those which aren't fresh from the wet market or vegetable stands, that they are less healthy and lose their full health benefits. What "other" potatoes am I talking about? The frozen fries or hashbrowns and the dehydrated ones you would find in supermarket frozen section. I was wrong all along. At least I know better now and I want to share with you my learnings momshies (popular term for “mom” in the Philippines)! There are different potato types: Fresh potatoes, frozen potatoes, and dehydrated potatoes. The first type, FRESH POTATOES, I'm very familiar with those. These are the potatoes which are carefully grown by farmers following strict guidelines se by US seed certification system to ensure that every potato product is high quality. But what I didn't know is that there are seven potato type categories: russet, red, white, yellow, blue/purple., fingerling, and petite. The US FROZEN POTATOES come in different varieties and are easily available in leading supermarkets nationwide. Some of the cuts available are frozen half shells, wedges, slices, straight cuts, crinkle cuts, loop/curly or popularly known as twister fries, lattice/basket weave, tater tots, and hash browns. I recently bought some frozen US potatoes in the nearby community market because my kids love french fries and my personal choice, hashbrowns. I bought them because it's cheaper to prepare them at home than buy them from fast food chains. Plus cooking them at home means knowing what type of cooking oil I deep-fry them in. These frozen potatoes also use state-of-the-art technology to meet high industry standards and are instantly quick-frozen to lock in the flavor and nutrients of fresh potatoes. The US Frozen potatoes we see in supermarkets met and passed the stringent requirements of the US Department of Agriculture (USDA) and the United States Food and Drug Administration (FDA). Lastly, DEHYDRATED POTATOES. I thought dehydrated potatoes didn’t have as much nutrients therefore,depriving our bodies of the nutrients we need, so I don't really purchase them. EEEK, wrong! When you buy U.S. high-quality dehydrated potatoes, you are getting real potatoes, just with the water removed. U.S. dehydrated potato products deliver all the flavor, nutrition and versatility of potatoes in a more convenient package – and are the perfect ingredient for everything from soups and salads to main dishes and desserts. Available US dehydrated potato products in the Philippines are the US standard potato flakes which are perfect for baking or creating mashed potatoes. So now that we've learned a lot about US Potatoes and their health benefits, wouldn't it be nice to actually try them, bring them home from the supermarket (I tell you you’ll save so much more than buying fries or hashbrowns and even mashed potatoes from popular fast food chains! ), cook them for the family. Cooking these yummy potatoes with the kids is actually a good family bonding idea too! Use fresh potatoes for viands such as my childhood favorite Beef Nilaga Soup with sliced potatoes. 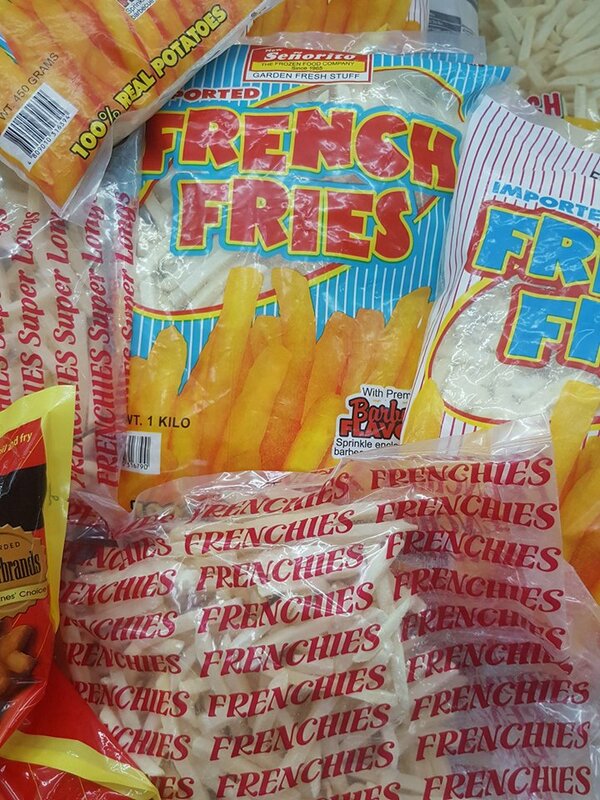 Serve french fries as snacks and even baon for the kids. Have that yummy hashbrown in the morning together with ketchup or garlic mayo, and of course coffee or hot chocolate. It's a nutritious food packed with vitamins and minerals. It's more practical to cook your own frozen potatoes (fries or hashbrowns) at home than order from fast food. Cooking an easy healthy potato recipe at home with the kids and even husband is a great family bonding activity. So go grab a pack of US potatoes today for you and your kids on your next supermarket trip. For more information, recipes, and tips, like Potatoes USA on Facebook https://www.facebook.com/PotatoesUSAPhilippines.